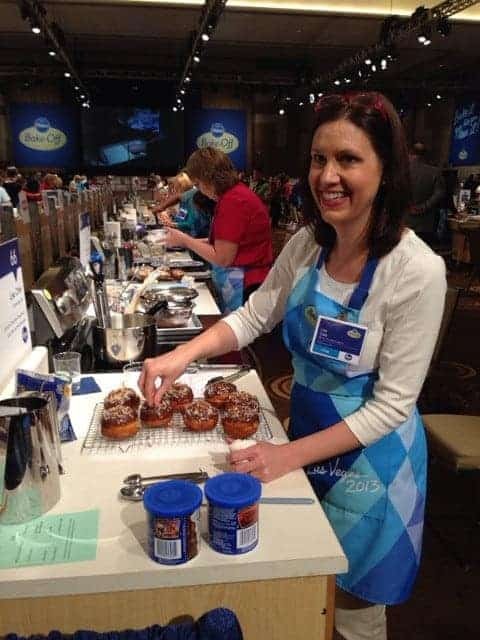 I was a finalist in the 47th Pillsbury Bake-Off – 2014! My recipe was Lemon-Blueberry Muffins (they’re gluten free). 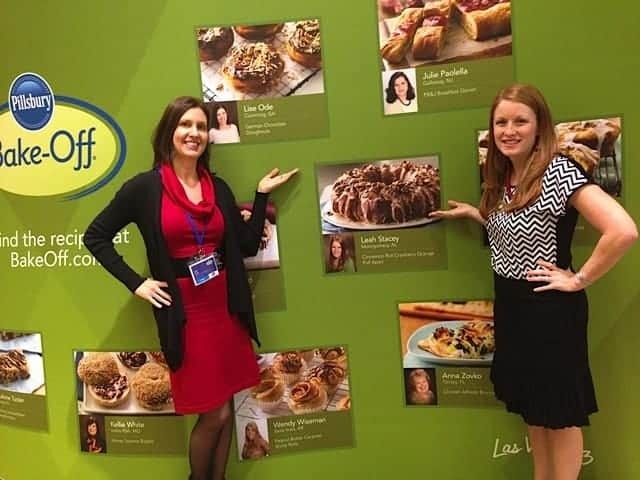 I was also a finalist in the 46th Pillsbury Bake-Off with my recipe for German Chocolate Doughnuts. 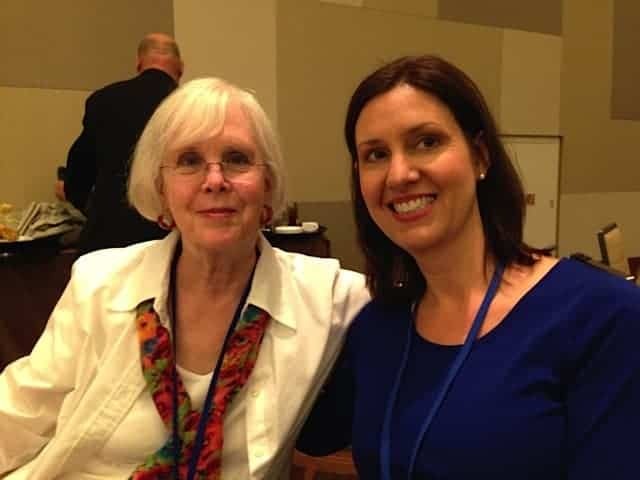 Scroll down for some highlights of my experience at the 46th PBO. 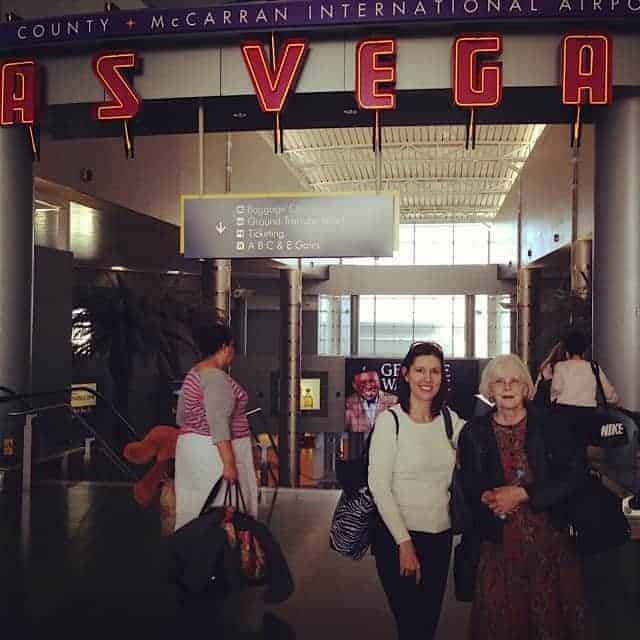 My mom (Jane) and I arrived in Las Vegas the day before the Bake-Off. We left Atlanta at 8 am and arrived at 9 am local time. Crazy time change! It was the first time in Vegas for both of us. We were both so excited! 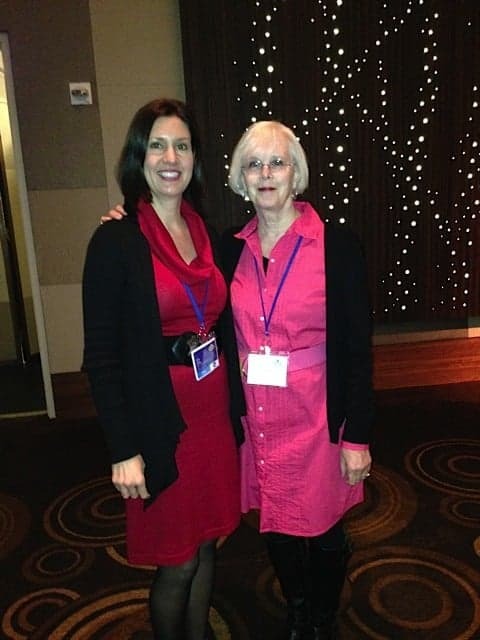 After we arrived at the lovely Aria Hotel and got settled, we headed to lunch in the banquet room where we met lots of finalists and their families. 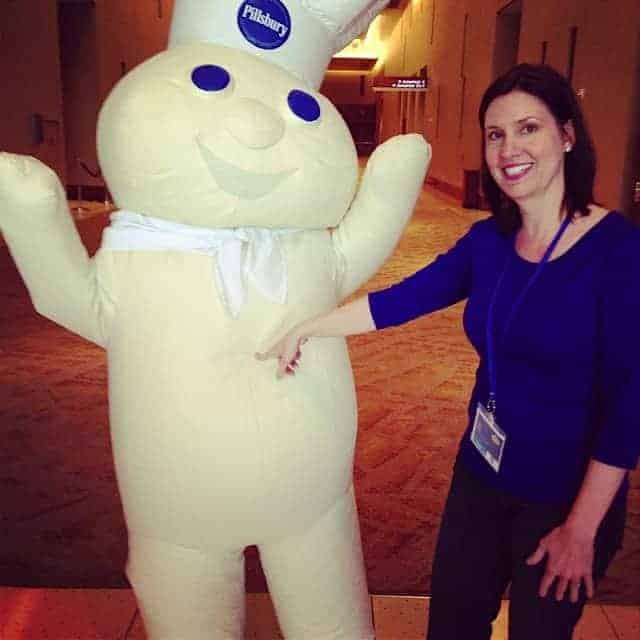 Mom was relieved to find that Pillsbury had provided her with a gluten-free meal. The food was delicious, but making new friends was the best part. After lunch we met the doughboy or Mr. Poppin’ Fresh if you want to be formal. Then it was time for a meeting with the finalists and the organizers of the event. 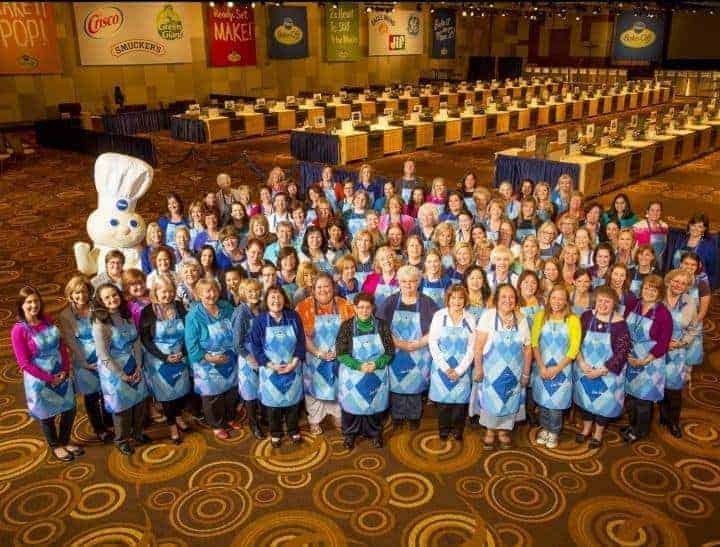 They went over all of the rules and then we got this photo taken of all 100 finalists. 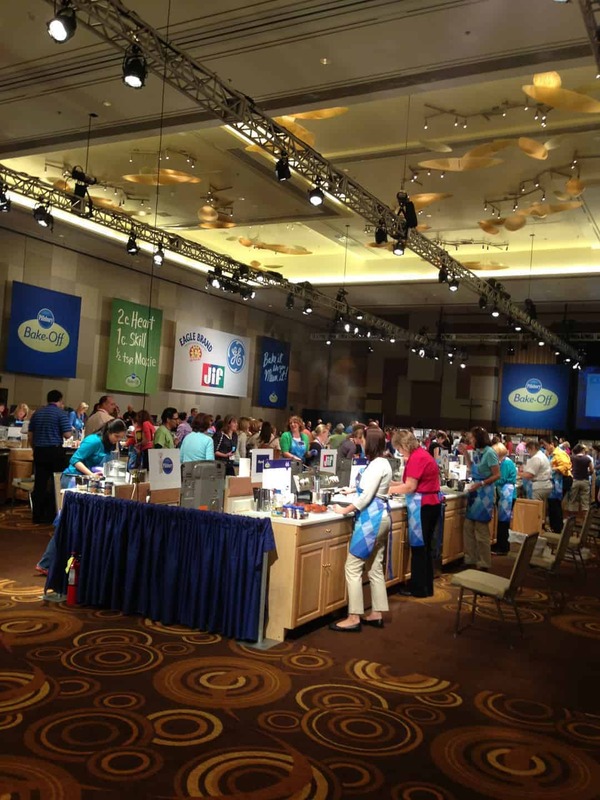 That night, Pillsbury hosted a fancy dinner party for all of the finalists and their guests. Here I am with Leah Stacey who was the Alabama finalist. My birth state! 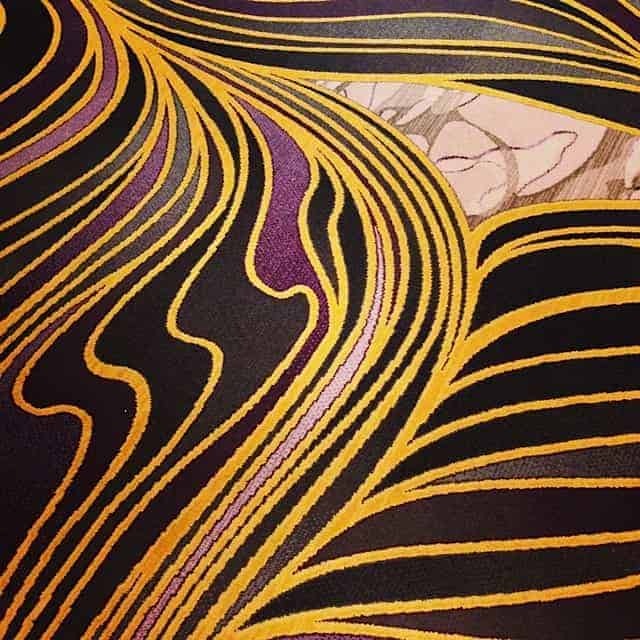 Fancy carpet at the Aria hotel. 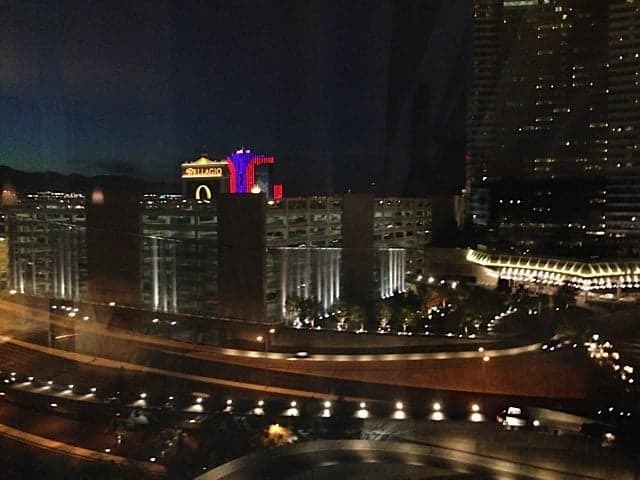 The view from our hotel room. This was the closest we got to the Bellagio! The contest and all of the festivities kept us too busy. Mom and I at dinner the first night. We didn’t stay too long though. We were so tired. The 4 hour time change was a bear! Let the games begin! 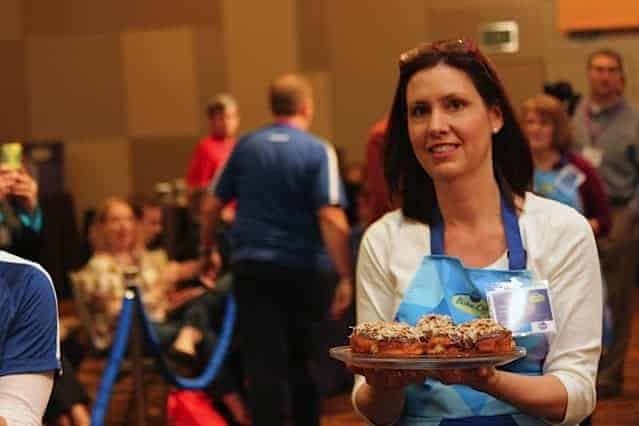 The contest got started after an elaborate processional of all the finalists around the contest floor, lead by the Pillsbury Doughboy, last year’s winner, Christina Verrelli and The Pillsbury Band complete with spatulas, spoons, pots and pans as make-shift drums. There was a lot of excitement in the air and all of us finalists were anxious to start. The leader of the band kicked us off by saying (in a very loud and excited voice), “READY, SET, MAKE!” The contest started a little late so the official start time was 8:02 am. Here I am reading my recipe very carefully as we had to follow it to the t! I thought I was going to be really nervous but once I got started, I was cool, calm and collected. I got in my baking zone! Frying in a different pan than I was used to and an electric oven instead of gas was challenging for me. I actually almost never fry food so it was sort of new to me. My donuts look really brown here but they had to be completely done in the middle which proved to be tricky! I’m happy here because I finally had a good batch to give to the judges. 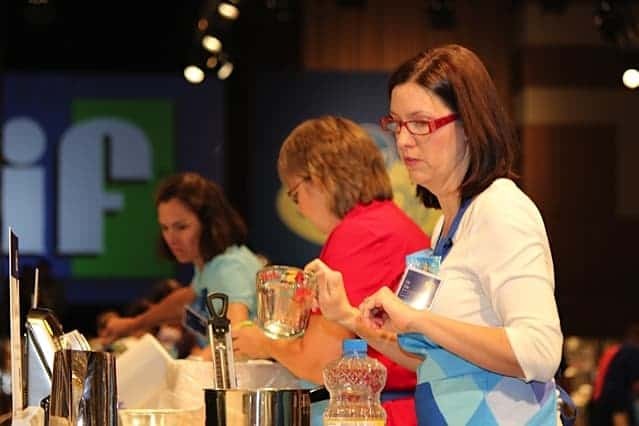 The rules are that you can make your recipe 3 times (if you want to) and give your best batch to the judges. All must be done in 3 1/2 hours. I had about 15 minutes to spare and I ended up turning in my 2nd batch after making all 3. The whole process took a lot longer than I thought. My recipe was a quick and easy one but making it picture perfect and judge ready is a different story. 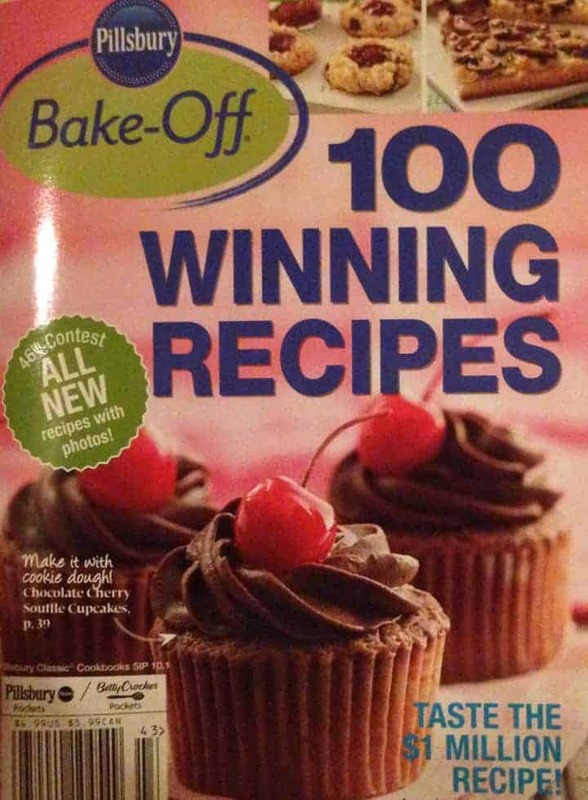 Happy to be taking my recipe to the judges at last. 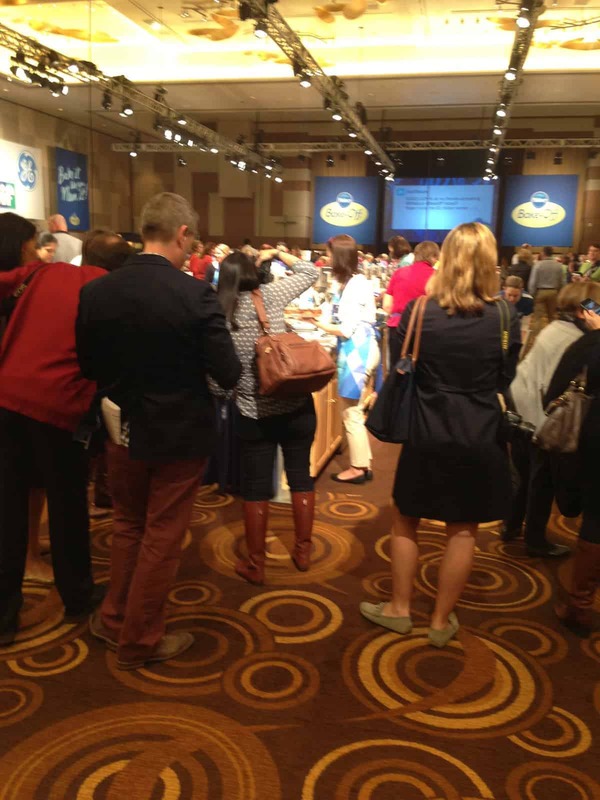 I was disappointed that I didn’t get to walk around the contest floor to sample other recipes. I was looking so forward to that part. 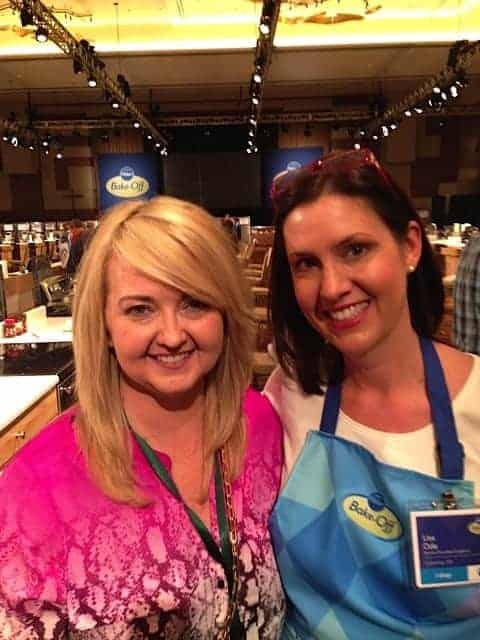 One of the highlights of the day was getting to meet the lovely Angie Dudley of none other than Bakerella.com! One of my favorite blogs! 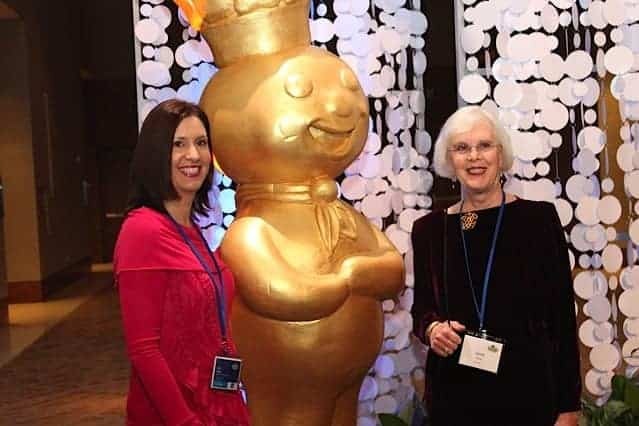 Alas, I didn’t receive a golden doughboy, but the awards dinner was still a lot of fun and a relief to be done with the competition part. 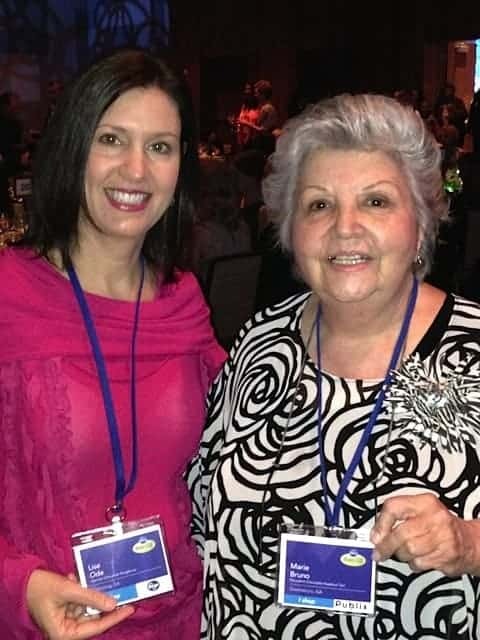 Here I am with fellow Georgia finalist, Marie Bruno. What a sweet lady and very talented cook! 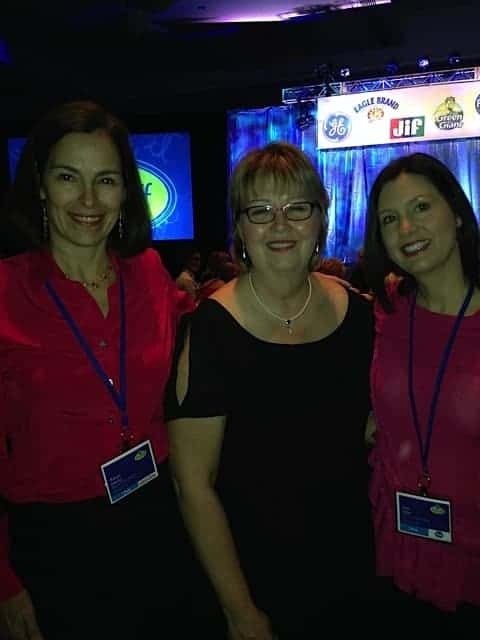 My 2 oven mates or next door contest neighbors, Karyn Hentz and Kelli Story. Making new baking friends is so much fun! 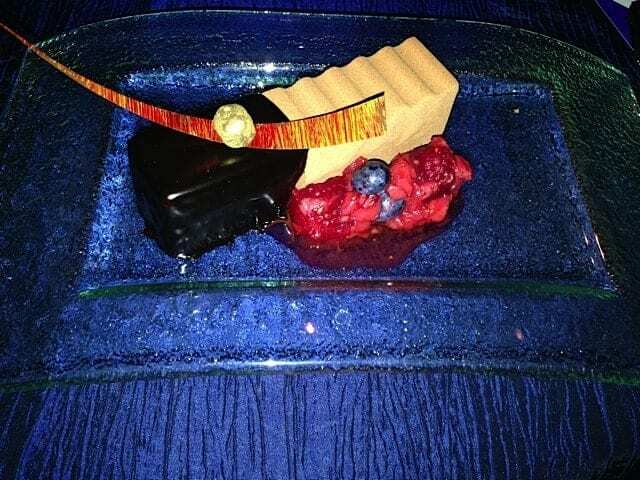 Our fancy dessert at the awards dinner which was hosted by celebrity Padma Lakshmi. So my German Chocolate Doughnut recipe didn’t win the Million Dollar prize but I do have my recipe published in this fabulous little book. 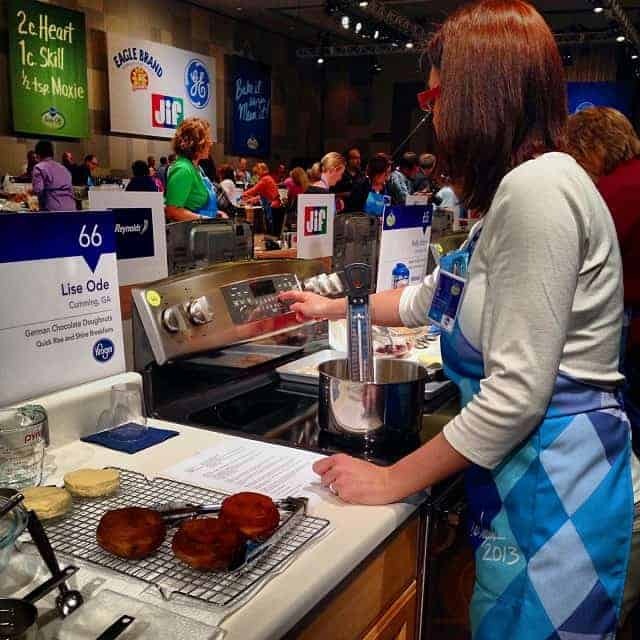 The winning recipe was Loaded Potato Pinwheels. Congratulations to Glori Spriggs for her creative recipe.